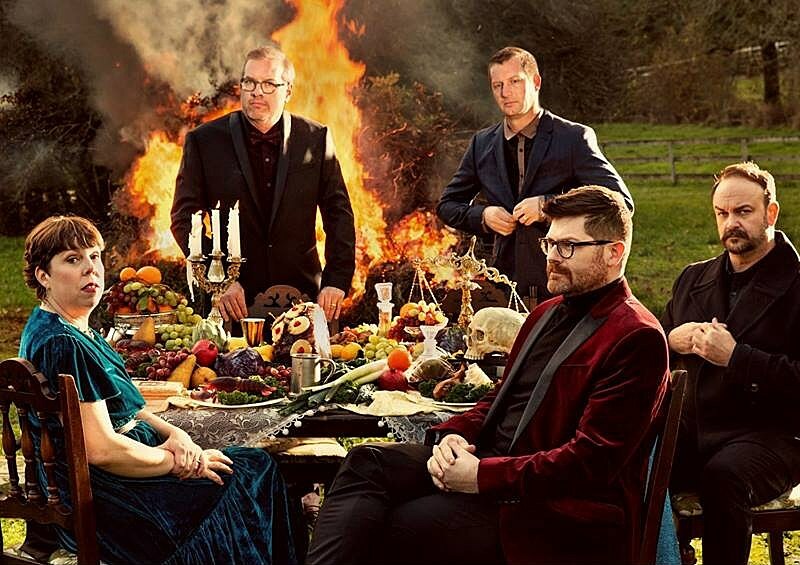 Last night (3/22), The Decemberists began their tour in support of their great new album I’ll Be Your Girl, at The Fox Theater in Pomona, CA. The band chose the music that would be playing at the venue in between sets, and singer Colin Meloy also helpfully uploaded a playlist of all the songs to Spotify. It’s an awesome mix that includes Camp Cope, Big Thief, Phoebe Bridgers, Snail Mail, Lucy Dacus, Waxahatchee, Parquet Courts, The Feelies, Leonard Cohen, The Bats, Lucinda Williams, Meat Puppets, Ministry, Wye Oak, Pixies, The Kinks, Death Cab For Cutie, Jeff Tweedy, Mavis Staples, Tinariwen, and more. Listen to the playlist below. Every artist currently announced for the Decemberists’ Travelers Rest festival was on the playlist. The Decemberists’ tour includes a big Prospect Park show with M Ward in Brooklyn this June.